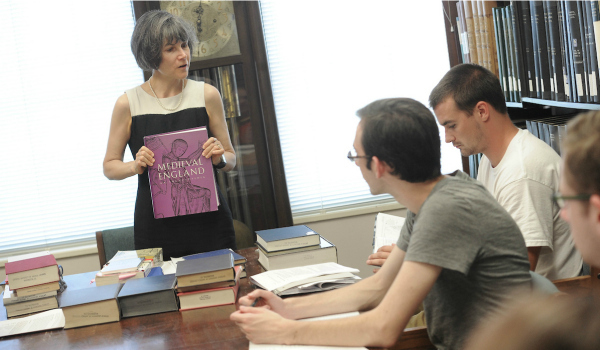 The University Honors Program at The Catholic University of America offers a challenging and inspiring liberal arts program to motivated students with outstanding academic promise. 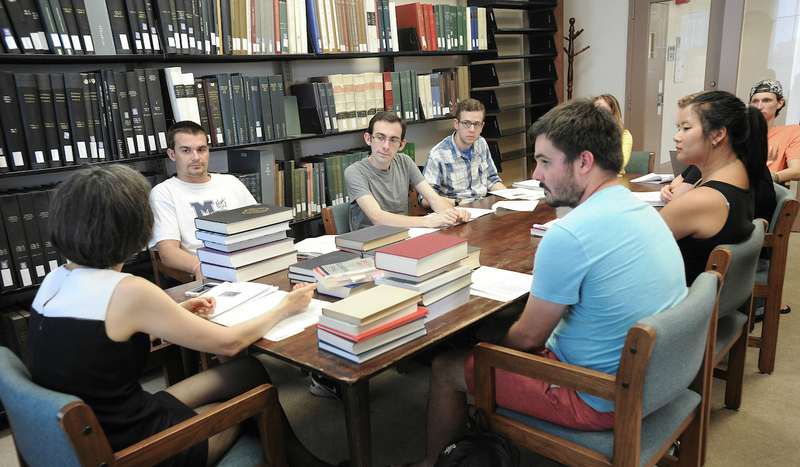 The faculty are drawn from among the most knowledgeable scholars and finest undergraduate teachers at the university. The curriculum, developed under the leadership of Honors Program founder Ingrid Merkel with support from The National Endowment for the Humanities, introduces students to some of the major intellectual and cultural currents in the West while encouraging them to reflect on some of the great questions that demand answers, more or less insistently, in every age. Through the give and take of intimate, seminar-style classes, UHP students find themselves pushed to be more broad-minded and rigorous, more thoughtful, quicker on their feet, more keenly critical, and more humane in their pursuit of the truth. In addition to an outstanding academic program, the UHP offers a variety of excellent social and cultural opportunities, ranging from the annual Christmas dinner, to trips to the theater, to scenic hikes in Maryland and Virginia, to spring break trips to Vienna, Madrid, and other major European cities. Those who choose to live in the Centennial Village Honors Community enjoy even more opportunities for enrichment, including dinner and discussion with invited professors, movie nights, and group excursions into Washington. For qualified students, the University Honors Program at The Catholic University of America offers the opportunity to take a great education and make it even better. Click the link below to learn more. A challenging and inspiring liberal arts program for motivated students with outstanding academic promise.